The online membership directory receives countless hits per year from consumers utilizing the Chamber Member Business Directory for referrals. Directory enhancements allow you to upgrade your complimentary membership listing to bring additional visibility to your business. 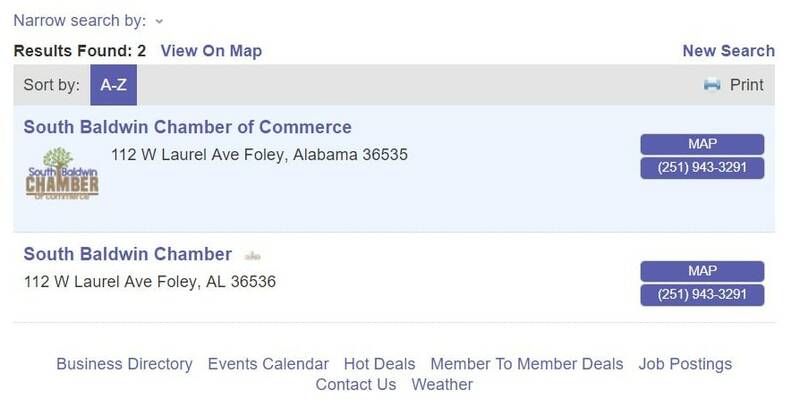 To edit the content of your online listing visit the member Information Center. If you would like to upgrade your listing contact Travis - Travis@mylocalchamber.net or by phone at 251-943-1036.